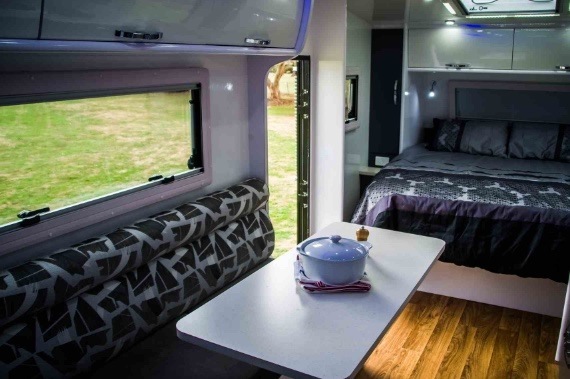 Snowy River Caravans are dedicated to building premium quality vans with an exceptional level of care and attention to detail. 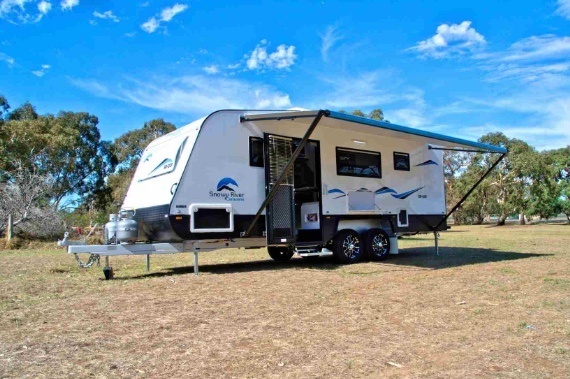 The fully-welded aluminium frames and fibreglass exterior give superior strength and durability in the harsh Aussie climate. These vans offer safety, comfort and represent excellent value for money. 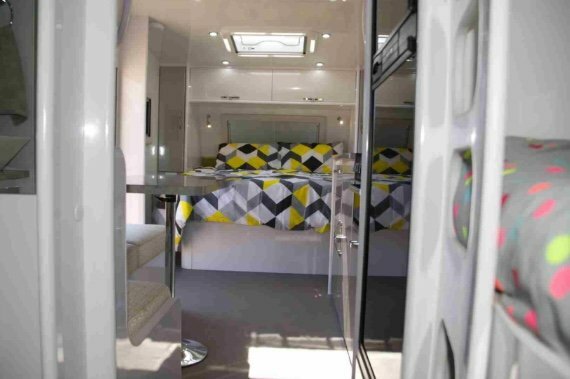 The SR20F comes with full ensuite and a queen island bed with either double or triple bunks as standard inclusions. 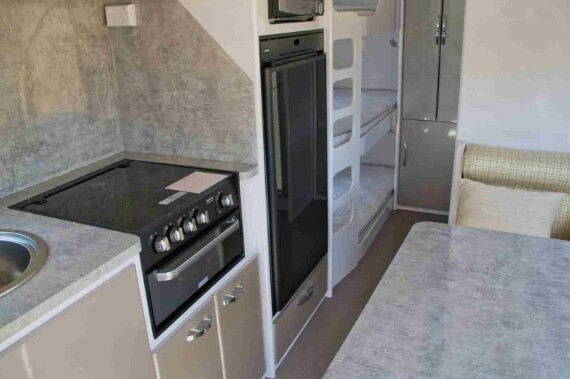 The spacious van also offers a fully equipped kitchen and a premium 3 +1 cooker top with mini grill. 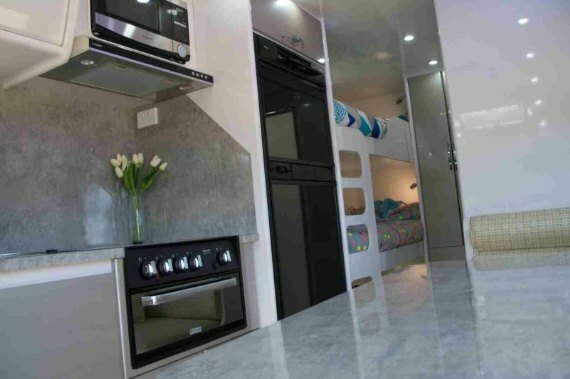 A spacious L-shape dinette is large enough to accommodate a family. The SR20F offers the easy towing with a tandem axle, being a larger van it feels smooth and easy to manoeuvre. – Full ADR approved chassis. 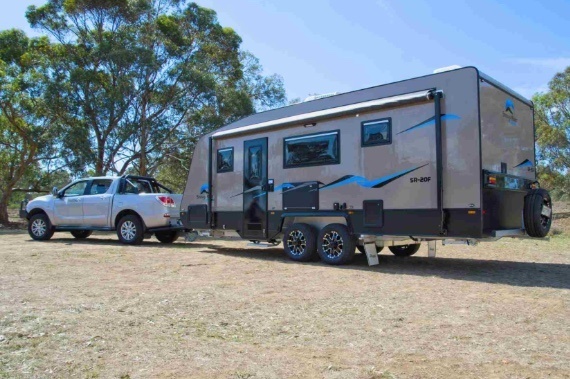 – Standard built on ALKO’s Australian built independent rubber torsion suspension.